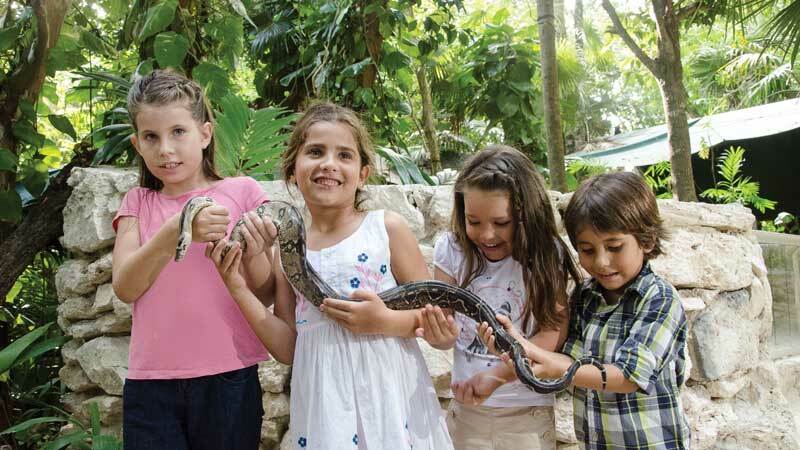 Croco Cun Zoo | Discover your nature! 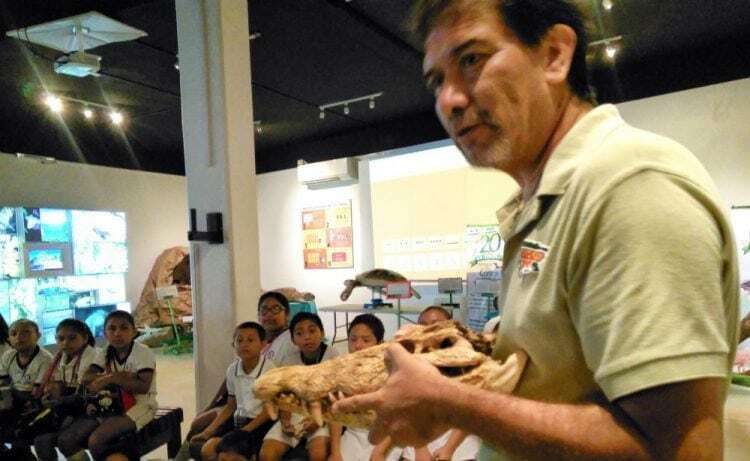 To Inspire Passion for Nature and Wildlife, through an interactive guided tour. You will able to touch, hold and feed great variety of our wild local animals; and if you are brave enough… to walk among crocodiles. Heat in your heart, freedom in your mind. Feel emotions you have never felt, with creatures you have never met. Live a knowledgeable journey. With our guides you will learn, hold and feed some of the local fauna, and if you are brave enough, walk among crocodiles. Get ready to take all the pictures you want because you will meet incredible animals in a natural environment. 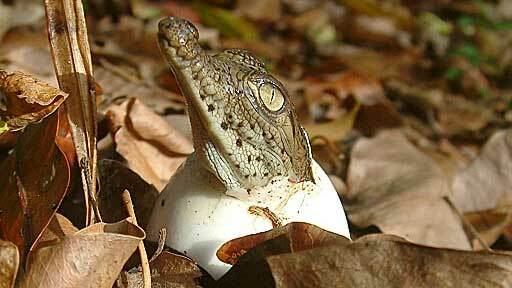 Get to know vulnerable species and learn how to protect them. Pay attention to the top of the trees, home of a troop of wild spider monkeys that you will possibly watch hanging off and playing around. 60-75 minutes interactive English spoken guided tour. 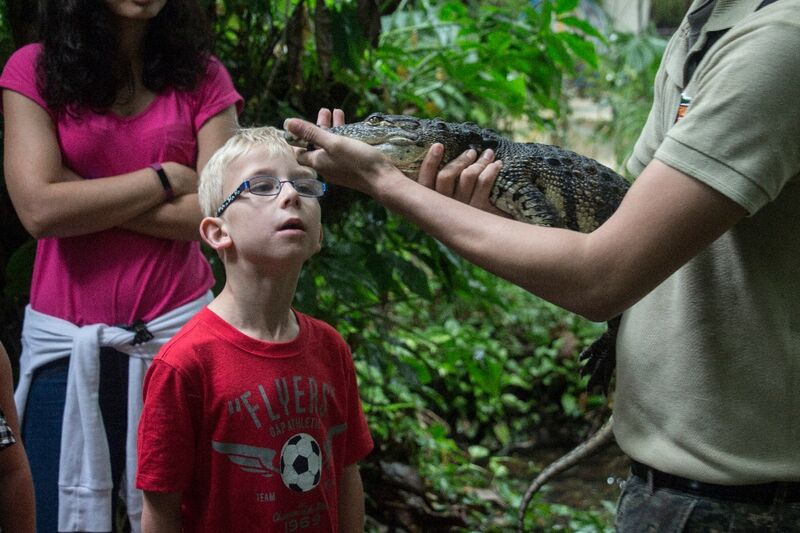 You will able to touch, hold and feed great variety of our wild local animals; and if you are brave enough… to walk among crocodiles. Admission to the zoo, guided safe interactive experience, all pictures you can take and unforgettable beautiful memories. Interaction feeding bag (one per group should be enough). Cafeteria, gift shop, snacks, picnic area, restrooms and children playground & wifi. Open everyday from 9:00am to 5:00pm. Round transportation buy a day in advance, check booking engine for valid pickup points & hotels and transportation fee. * For security reasons we do not admit pets inside our facilities. In recent times, public attention turned towards animals in captivity, and Zoo’s aren’t the exception. Croco Cun did not start as a zoo, however, our Riviera Maya destination ecological needs, have turned us into a very peculiar one. Most of the specimens have come to our home as donations, as well as rescues or seizures that the environmental authorities have placed under our care. The residents of our zoo play an important role in the fauna conservation through education and interaction with our visitors. At Cancún´s or Playa del Carmen´s bus station, take the bus-line MAYAB and specify you’re getting off at Croco Cun so they charge the correct fee. At Cancún´s bus station, in front of the main doors, crossing the parking lot, take the PLAYA EXPRESS minivan. Tell the driver you are getting off at Croco Cun so he charges the correct fee. This minivan can also be taken at Playa del Carmen on Calle 2 between Av.20 Norte and Av.25 Norte. Getting to Croco Cun Zoo from Cancún by bus or minivan (costs around 25 pesos per person), the driver will drop you out in front of the zoo on the federal highway. Please be carefull when you crossing. To get to Cancún´s bus station from the Cancún hotel zone, take the bus (Turicun or Autocar) with RUTA 1 on the window. (it must include Downtown, Av. Tulúm destinations) and ask the driver to drop you out on Tulum Av. near the bus station. It costs around 12 pesos per person.